Kedarnath temple is more than thousand years old. It is one of the four holy places that surround the famous Chardham Yatra. An abode of Lord Shiva and Parvati. Placed at an altitude of 3,553 meters. May - October are the best time to visit Kedarnath. 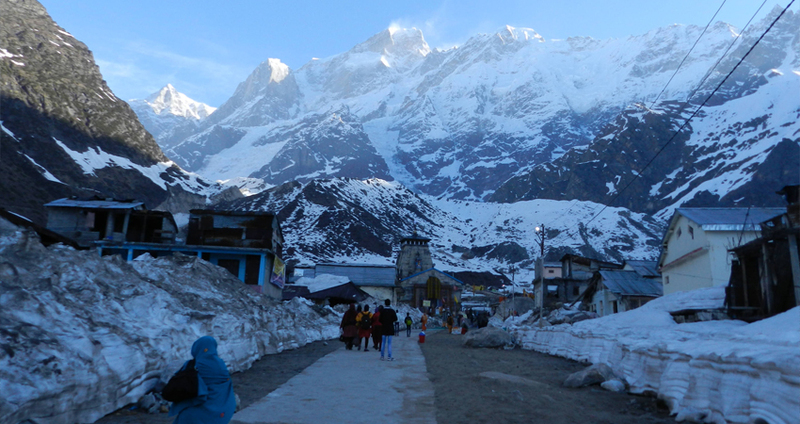 Summers season at Kedarnath are pleasant and winters season are snow roofed and very cold. Valued as the holiest Char Dham destinations in India, Kedarnath is sited at an altitude of 3,584 meters from sea level. The town overlooks Kedar Massif, a spectacular mountain formation with quite a number of glaciers which also includes the source of the Mandakini River. The whole town of Kedarnath has an aura of spiritual feeling, which lingers in your mind once you visit this pleasing and stunning creation of nature and mankind. Built approximately thousand years ago, the temple in Kedarnath can only be visited throughout certain months of the year. Winters are very cold with heavy snowfall and the shrine opens only when the snow melts best time during the month of April to May. Although it is a pilgrimage center, it also offers a picturesque view of the snow capped Himalayas and the stunning vistas of green meadows and quaint valleys. There are quite a few tourist spots in Kedarnath. The visitor's guide to Kedarnath briefs you upon the places and their importance. The Kedarnath temple, built in the 8th century by Adi Guru Sankaracharya lies adjacent to one more temple built by the Pandavas. The tomb of the Guru is behind the main shrine. 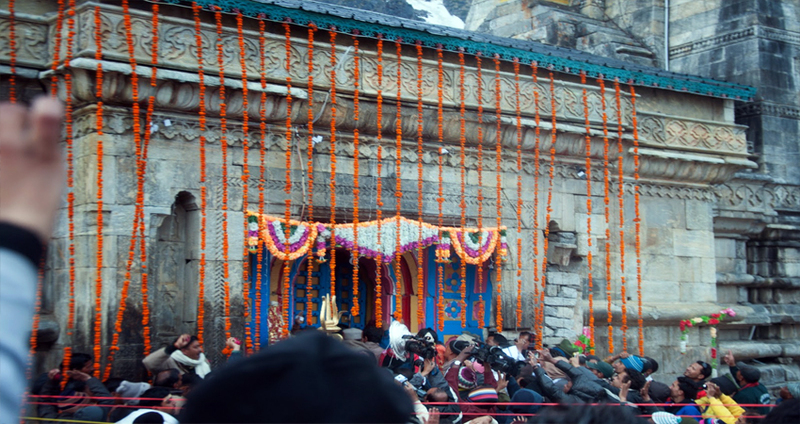 The tomb is also a major attraction of Kedarnath. Then there is the Vasuki Tal, one of the most scenic lakes that is circled around by lofty mountains and offers a stunning view of the peaks. The entire area is 3 square kilometer, making it a small town, though rich in religious values. How to reach Kedarnath one has to take a train or bus to Hardwar in Uttarakhand. Both these places are well joined by rail from New Delhi. Hardwar or the entrance way to heaven is another main Hindu Pilgrimage. Kedarnath is about 250km by road from Hardwar. 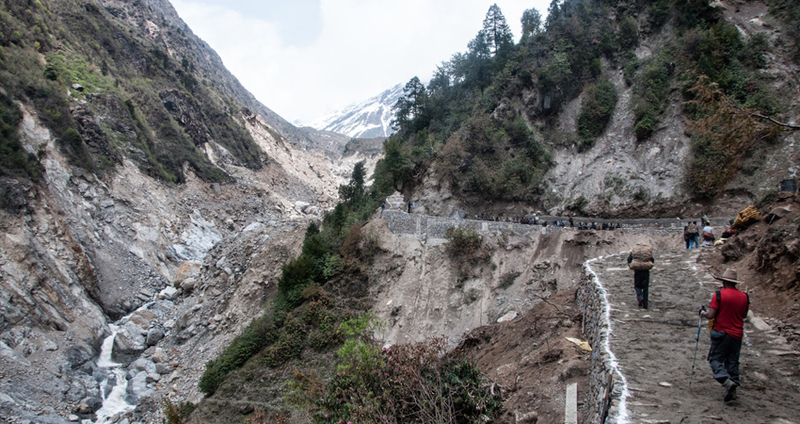 It takes an entire day to reach Rudraprayag, from where Kedarnath is an extra 60 Km by road, 14 of which will need to be cover on foot or a horse. 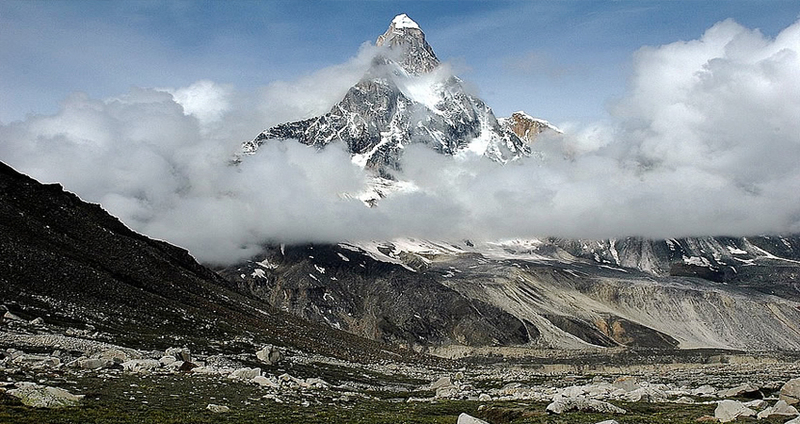 Chardham Tourism is the budget tour planner for Kedarnath Tour. We have complete Kedarnath Tour Packages for every one as Kedarnath Dham Bus Tour, Kedarnath Ek Dham Yatra, Kedarnath Yatra, Kedarnath by Helicopter Tour and lots more. Break of day visit Haridwar local sightseeing, afterward drive to Rudraprayag on the way visit Devprayag. After reaching Rudraprayag, Check in hotel for night stay. Day : 3 Rudraprayag to Kedarnath (75kms by road and 14kms Trek). 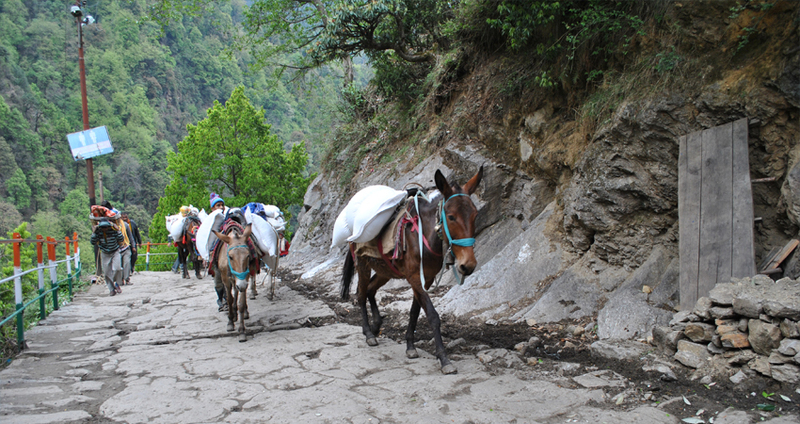 Driving to Gaurikund, be prepared for the Trek, from Gaurikund to Kedarnath on foot or on by horse or Doli. Tour members must carry own medicines, heavy woolen, toiletries and clothes for the night stay at Kedarnath. Afterward visit Kedarnath Temple. Day : 4 Kedarnath to Rudraprayag (14Kms down Trek and 75kms/3hrs by Road). Moving back for Rudraprayag after Kedarnath Temple Darshan and trekking downwards to Gaurikund. Afterwards driving to back for Rudraprayag via Guptkashi. Check in Hotel at Rudraprayag for Night Halt. Kedarnath Temple is blocked from 3 pm to 5 pm so prepare to be at temple earlier than 3 pm. Before 3 pm guests can touch individual and complete Abhishek with Ghee. After 5 PM no one can touch individual but can get Darshan with a distance. At this time individual is in Emperor Costume. 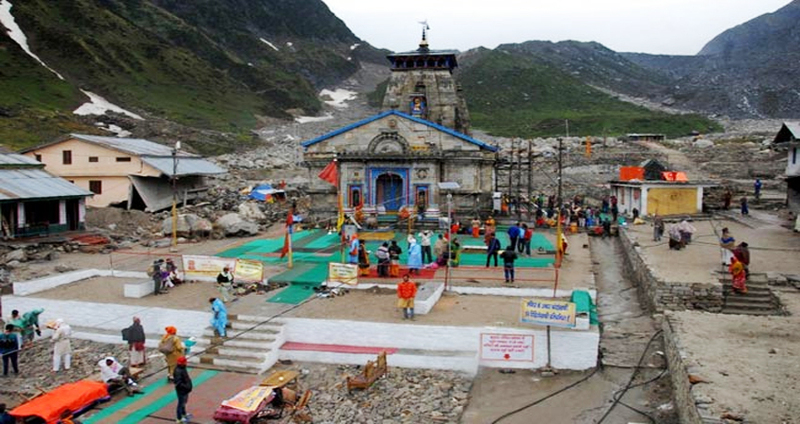 Kedarnath there are number of Kunds that are known for their spiritual significance –Udakkund, Rudhirkund, Shivkund, Retkund, Hanskund, are the most main. Another interesting fact about Kedarnath is the Samadhi of Adi Sankaracharya, which is located behind the shrine. It is believed that after establishing the 4 Dhams in India, he went into his Samadhi in his early 30's itself. There are also other tourist attractions in Kedarnath. The Vasuki Tal is a beautiful lake amidst the serene surroundings. And places to see in Kedarnath are Gandhi Sarovar, Bhairavnath Temple, Ratus Kund, Gaurikund, and Sonprayag. Yatra to Badrinath place is so difficult that sometimes it becomes not easy for people to venture out for Kedarnath Tour. Devotees who to take off from the unwieldy travel procedures should prefer Kedarnath Yatra by helicopter. Nowadays, one can also get helicopter services to visit Kedarnath site in same day. It is great to take up the helicopter ride to see the stunning and magnificent Himalayan Mountains and the snow capped covered peaks.